Cometh the hour, cometh the teenager. 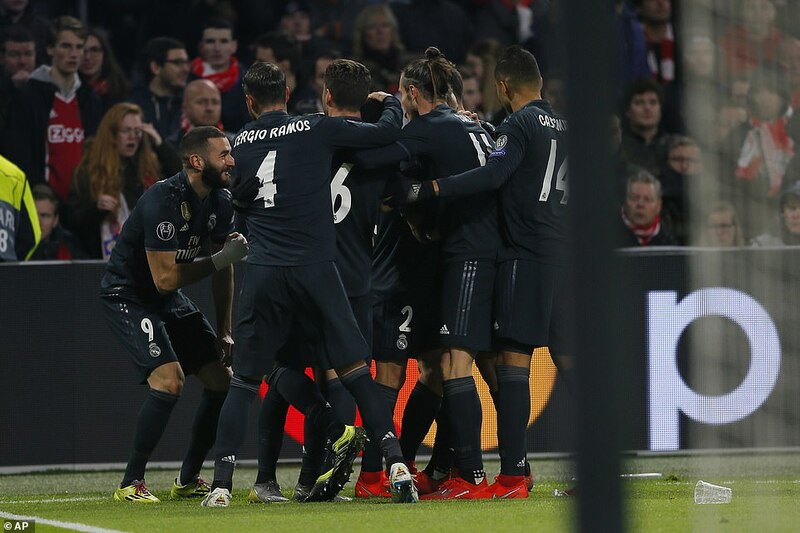 18-year-old Vinicius brilliantly conjured up Real Madrid’s opening goal converted by Karim Benzema as the holders took a 2-1 lead away form Amsterdam. 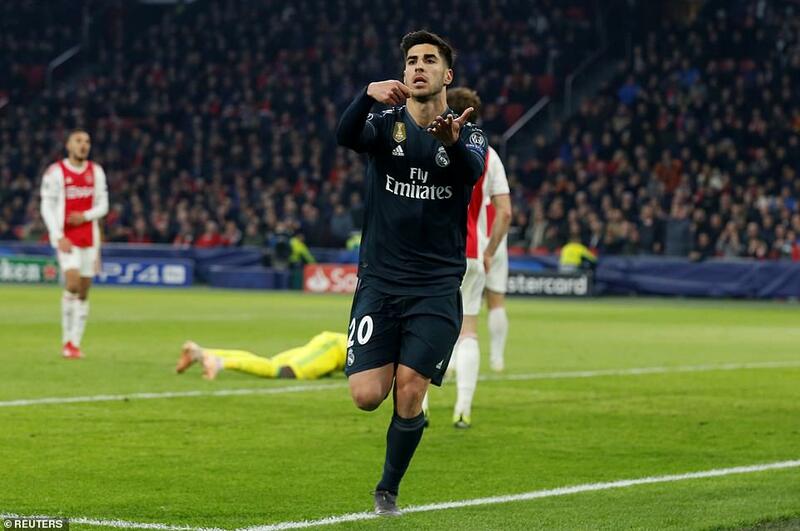 After Benzema’s 60th minute goal, Ajax – denied a first half opener by VAR – grabbed a deserved equalizer from Hakim Ziyech but then collectively dropped to their knees as substitute Marco Asensio scored a vital late winner. The irrepressible Vinicius was found with a lobbed pass dropped into space for him by Sergio Reguilon for the first goal. He changed gears to zoom past Ajax right-back Noussair Mazroui and then changed direction darting across the face of the penalty area drawing red and white shirts towards him until Benzema was unmarked. He played him and the French forward arrowed a right-foot shot into the far corner of Andre Onana’s net. Real Madrid coach Santiago Solari immediately took off Gareth Bale and brought on Lucas Vazquez. Had he been planning to take off Vinicius? How could he now? Vinicius remained and it would be Benzema who was next to go off with a knock leaving the 18-year-old leaving the line. 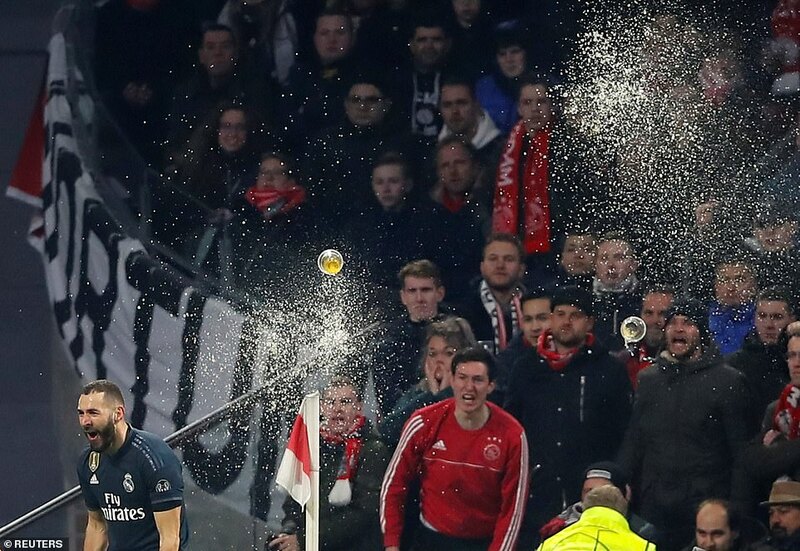 Benzema’s departure was the cue for Ajax to equalize. Ziyech converted after David Neres had crossed from the left. VAR delayed full-blown celebrations as Real Madrid complained, ultimately in vain, about a foul in the build-up. VAR had produced the moment of the first half too, five minutes before the break when it saved Real Madrid from going behind. Matthijs de Ligt climbed above Casemiro to head goalwards. 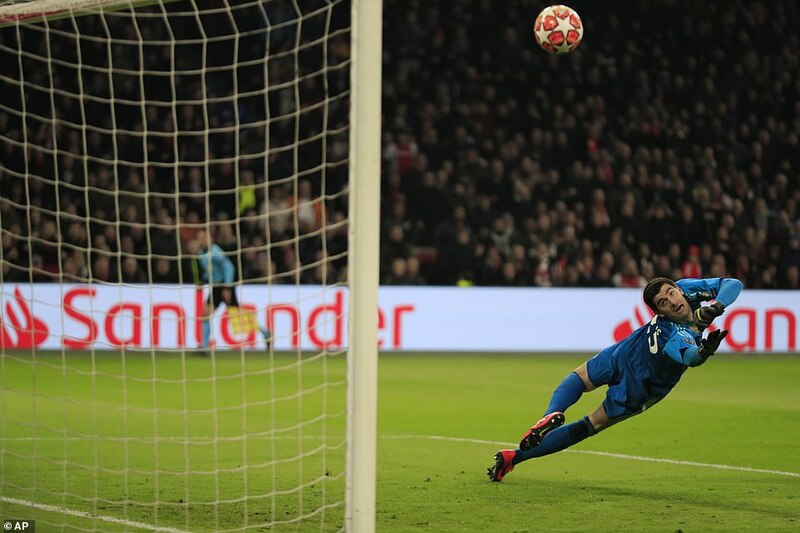 The ball bounced up and hit Thibaut Courtois in the shoulder, Nicolas Tagliafico headed in the rebound and the Johan Cruyff Arena erupted to celebrate a deserved opener but VAR had instructed referee Damir Skomina to review the goal pitchside. Dusan Tadic was offside. It was up to Skomina to decide if he was interfering or not. The Serbian striker was right under Courtois’s nose and the goal was ruled out. 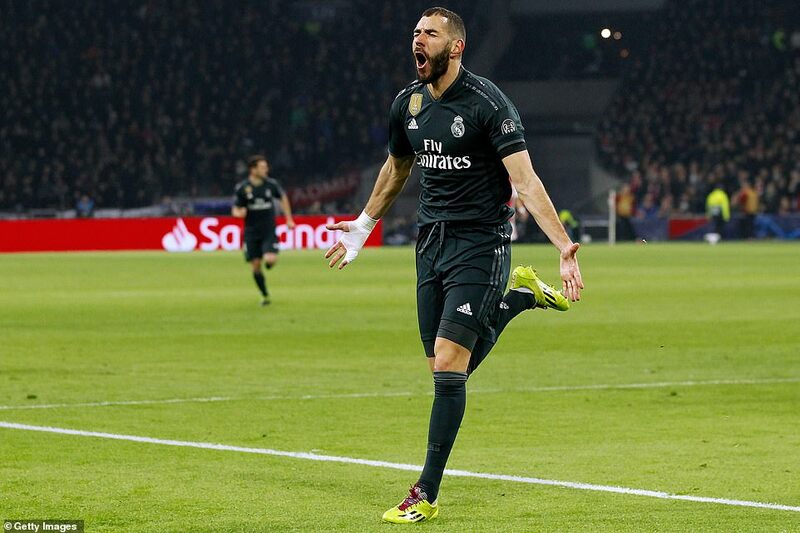 Madrid were off the hook and so was Courtois who had failed to deal with the corner just seconds after making the save of the first half from Ziyech. 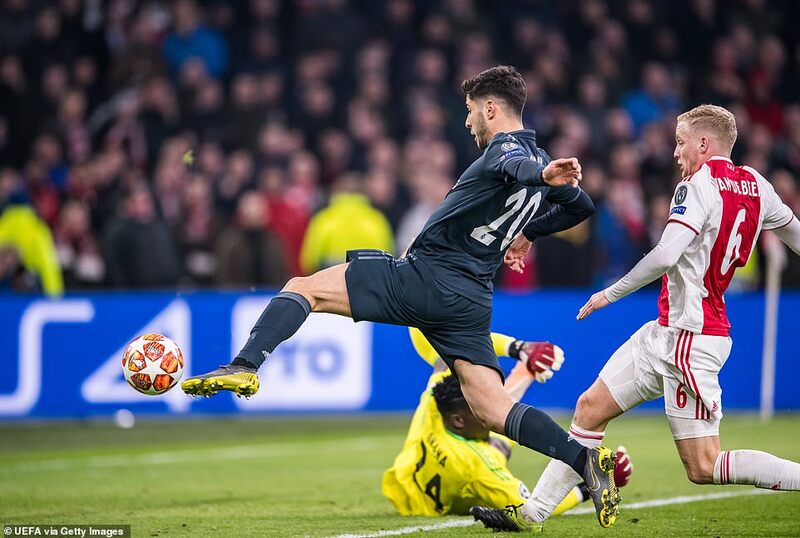 Ajax had also hit the frame of the goal through the electric Tadic who capitalized on Sergio Reguilon giving the ball away. Sergio Ramos did just enough to put Tadic off balance without fouling him. Ajax were showing none of their dismal league form. 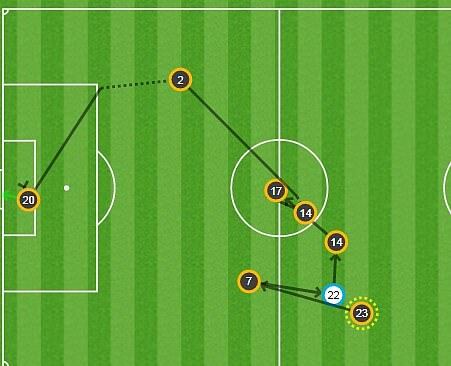 Tadic could have scored again having slalomed into the area only to slice his shot. Madrid’s best chance came when Toni Kroos released Vinicius and he set off with only one thought in mind to get into the area and shoot. Andre Onana tipped his effort over. Reguilon, in the team ahead of Marcelo, burst forward and found Bale but he had no extra support and the move fizzled out. 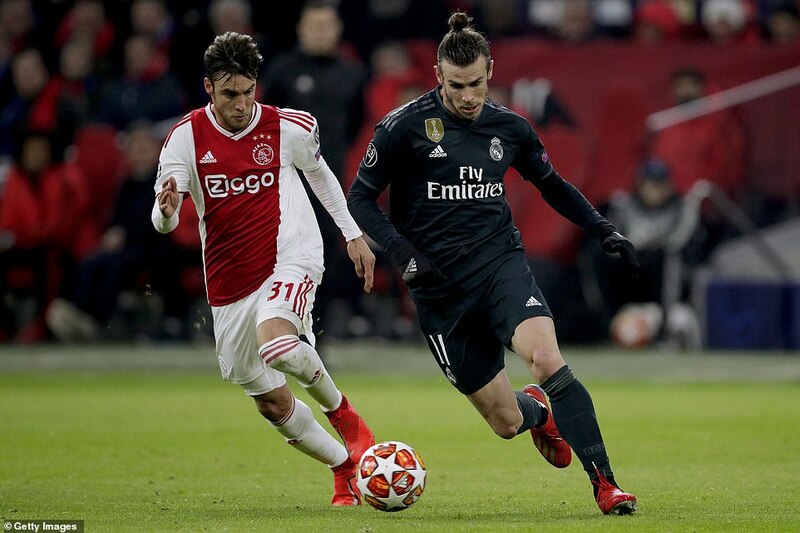 Ajax were playing a high line but so effective and intense was their pressing that Madrid could catch a breath to get Bale or Vinicius running in behind them in the first half. Frenkie De Jong meanwhile was having a fascinating duel with Luka Modric – the old Madrid maestro against Barcelona’s new signing. In among the pinball passes Modric played the ball of the first half to send Vinicius clear but he ran in-field and into trouble. The second half started with Onana saving down at his near post from Benzema’s shot. Immediately Ajax hit back with De Jong playing a superb pass through to Neres who was foiled by Courtois. 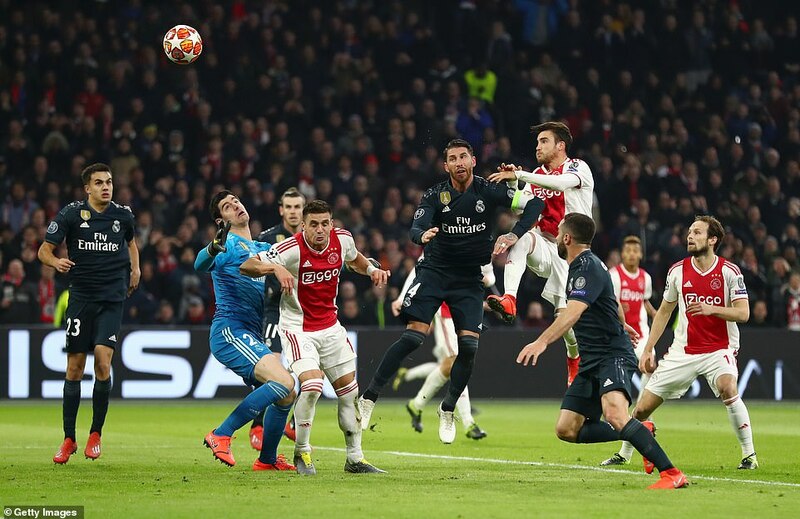 Ajax had not adjusted the settings for the second half, the pressure on Madrid all over the pitch was intense. But Benzema’s goal winded them. They had dominated. 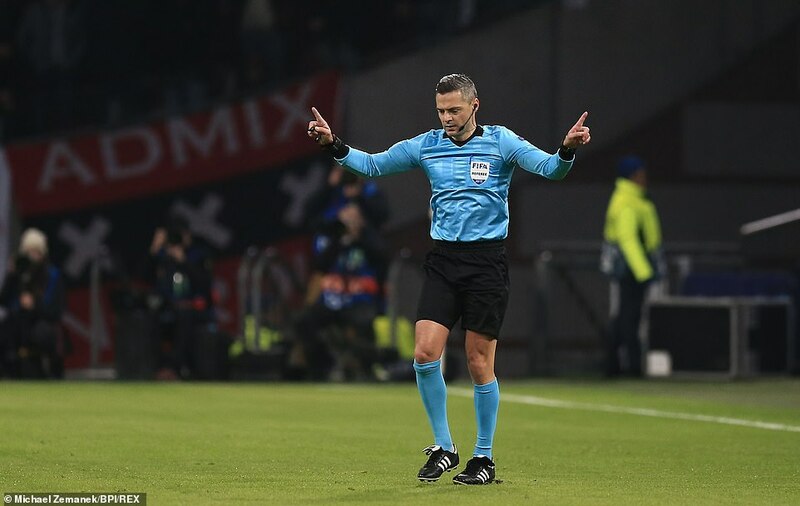 They had been in front for those few moments while VAR and then Skomina deliberated. Now they were behind. When Ziyech struck with 15 minutes left it seemed they had got a deserved draw but Asensio scored from close range from Dani Carvajal’s perfect cross. Madrid still needed an extra-time close range save from Courtois to finish the game on top ahead of next month’s second leg.